Monday mornings are a challenge for most of us. Shaking off our weekend and getting back to work is a concept so maligned that it has been roasted in every entertainment medium we have. Monday morning represents the beginning or at least a continuation, of our projects and dreams. After the glow of a great weekend fades, our perception of where we are in life can leave us raw and has lead many of us to consider the beginning of today’s quote. 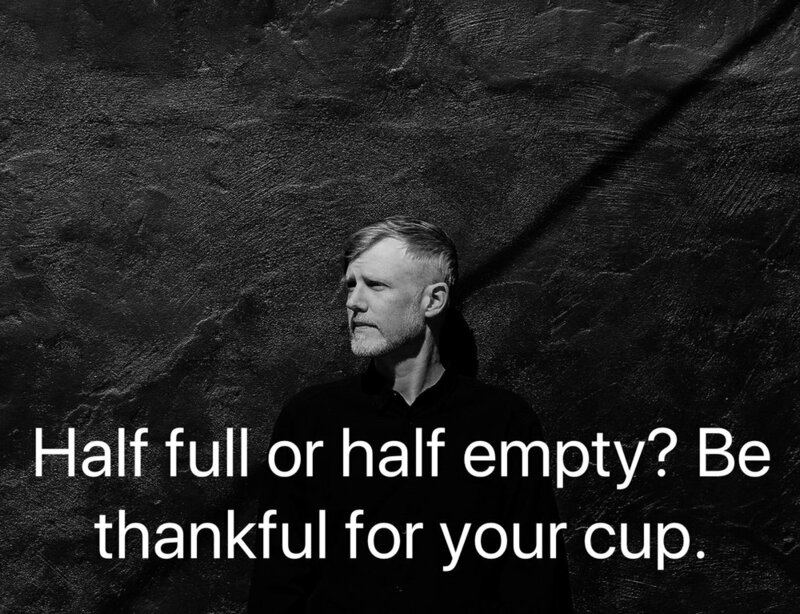 Is our life half empty or half full? This is the choice we are so used to seeing and it serves a great function: it’s an easy way to begin a discussion about how our perception shapes our lives. It’s inherent simplicity also allows it to be universal in scope. What is often left out of this conversation is the gratitude of having life and breath, i.e. our cup, in the first place. On Mondays, let’s create a habit of being thankful that we get to wake up free to be who we choose and live the life we dream.